Buying property in Italy its not as complicated or drawn-out as it may first appear – and it’s certainly nothing to be afraid of! Below we will run through the basic procedure and tell you what each representative is responsible for. If you’re interested in any of our properties and would like some further guidance on the buying process, please do not hesitate to get in touch. When you have found the right property, the first step is to make a verbal offer on the property with the estate agent. Double check everything before making the offer including price, boundaries, rights of way, etc. A good estate agent will be able to assist you in this process. If your offer is accepted, you will now need to employ the services of a notary (‘notaio’). Some buyers also employ the services of a solicitor or lawyer but this completely optional. The estate agent will now create a preliminary contract which outlines what is being sold and the price to be paid. The two types of preliminary contract are a ‘compromesso’ and a ‘proposta di acquisto’. With a compromesso both parties are present to sign the document at the same time, whereas a ‘proposta d’acquisto’ can be posted to the vendor and buyer and then signed in succession. The buyer signs and submits a cheque for the deposit – which is usually around 10% of the property price. This will be passed on to the vendor once he or she has signed the contract. If there are conditions or clauses in the contract, the agency will not pass on the cheque until these have been satisfied. Once the vendor signs the contract and takes possession of the deposit cheque, it becomes legally binding for both sides. If the vendors back out, they have to pay you twice the value of the deposit. If you, the buyer pulls out, you lose your deposit. The vendor needs to officially register the preliminary contract within a month of signing by law, although this registering cost is payable by you the buyer (cost is based on lines of text and is not expensive with part of the cost being discounted from the final taxes when signing the deed of purchase). You will now need to pay the estate agency fees also. In Italy all searches and contracts are divided up between the estate agency and the notary. It’s possible to draw up the searches yourself and get them checked by a notary, although this is not advisable unless you are familiar with this paperwork and the Italian language. This is the final stage of the buying process “il Rogito”. The Italian notary will draw up the final deed and you will be transferred the right of title to the property. An Italian deed of purchase requires the buyer and the vendor to be physically present on the day the property sale goes through. However it’s possible to give a local person power of attorney to do the signing for you. 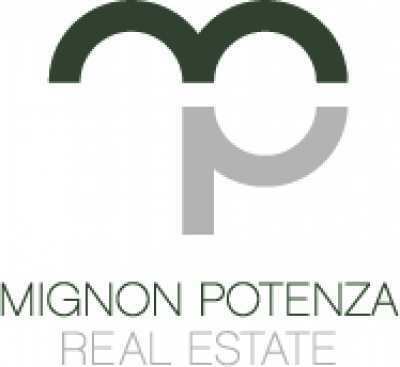 The property prices you see on the site are the asking prices for the property and the average overall cost of buying a property in Italy is around 15% of the property value. This amounts to 9% of the purchase price for non-residents and 2% for residents. If you register yourself as a resident up to 18 months after the purchase you can also just pay the 2%. It’s worth noting that if you don’t become resident within this time frame, you will then owe the full 9%. The taxes will rise to 18% if you are buying land. As in most countries, estate agents act as the middle man when negotiating between buyer and seller. They also organise bank accounts, electricity and water supplies and even tax codes. You will see that their fee does actually deliver some worthwhile services. A good quality agent may also organise the first ICI payments and certificates as well as provide advice on local builders and tradesmen. They can be invaluable for local knowledge for such things as infrastructure, future plans, local traditions and customs and much more. It is the buyers responsibility to appoint a notary and they will carry out the conveyancing and tax collecting. It’s advisable to choose a notary local to the property because the estate agent, the notary and you (or your chosen representative) will need to meet on purchase day. The Notary will verify the identities of the people involved in the purchase, check and oversee all transactions, calculate and collect taxes on the sale and update the land registry.